Some weeks ago we were informed that Goyello has been nominated for the Award “Best IT firm of the year – Poland” handed out by the Central and Eastern European Outsourcing and Shared Services Association. On 6 February 2014 the Award Gala will take place for which the invitation has just arrived. I’m really excited to join this unique event and of course I’m even more curious about the final result. A nice additional detail is the fact that Tri-City (Gdansk-Sopot-Gdynia) has been nominated for “Best city of the year” and that our own home base Olivia Business Centre (OBC) has been nominated for “Best new office development for BPO/SSC sectors”. BiznesPolska Media is hosting the second annual CEE Outsourcing and Shared Services Awards Gala, an evening dedicated to recognizing excellence in the sector. This celebration will take place in Warsaw at the InterContinental Hotel on 6 February, 2014. Central and Eastern Europe (CEE) is well-established as a world-class destination for Shared Services centres and BPO investment. With Poland the strongest location in the region, other countries such as the Baltics, Czech Republic and Romania are important investment destinations. 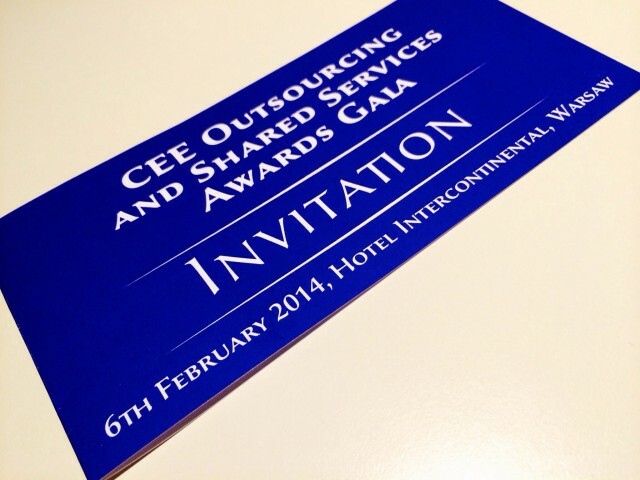 Global outsourcing firms, business services projects and sector professionals will be presented with awards of acknowledgment – by an independent jury from the industry – for their contribution to the development of the business services sector in CEE for 2013. No, I don’t think winning the Award is the most important thing in life, but of course it would be a nice recognition for all the great work delivered by our Goyello team and the effort we make to develop the local community as well. The nomination is something we are already proud of, especially seeing the other nominees (Atos IT Services, Connectis, Luxoft and REC Global). Winning would be a delicious cherry on the cake. If all the Gdansk based nominees will win, I believe we can look forward to a nice party at OBC. More to follow soon! Is Google just looking for content to earn more?